alaTest has collected and analyzed 85 reviews of Sony Handycam HDR-XR200V. The average rating for this product is 4.2/5, compared to an average rating of 4.0/5 for other Camcorders for all reviews. Comments about the battery and size are overall positive. The image quality and portability also get good feedback. Many are less positive about the viewfinder. Opinions about the memory and price are mixed. We analyzed user and expert ratings, product age and more factors. 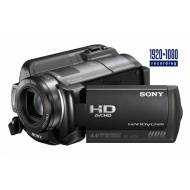 Compared to other Camcorders the Sony Handycam HDR-XR200V is awarded an overall alaScore™ of 82/100 = Very good quality. alaTest has collected and analyzed 26 user reviews of Sony Handycam HDR-XR200V from Amazon.com. The average user rating for this product is 4.3/5, compared to an average user rating of 3.9/5 for other Camcorders on Amazon.com. People are impressed by the battery and size. The image quality and usability are also mentioned favorably. The Sony Handycam HDR-XR200V is a disappointing performer, and its GPS capabilities aren't as useful as they could be. The Sony Handycam HDR-XR200V isn't a bad camcorder, but its main draw might be its fancy extras rather than its output. It's the active image stabilisation system that finally makes shooting lengthy handheld movies or on-the-go videos a viable option, which elevates this camera from average to good. Still learning the ins and outs, but love it so far! Preserve your memories in spectacular 1920 x 1080 high definition with the HDR-XR200V Handycam camcorder. Great for travelers, this huge capacity of hard disk drive camcorder features a GPS receiver that can display your current location and remember where you shot your video. In addition to 4.0-megapixel still image capture for high-resolution digital photos, the HDR-XR200V has Optical SteadyShot image stabilization with Active mode for superior image smoothness. You'll also enjoy easy, automatic creation of short movies via the Highlight Playback feature.